No D, No Rings! How many times can I write that? I was very high on this years defense, as they grew week by week. It was clear that they didn’t make the flight west to Los Angeles. You’ve got to pack your defense for a road game and we didn’t do that. 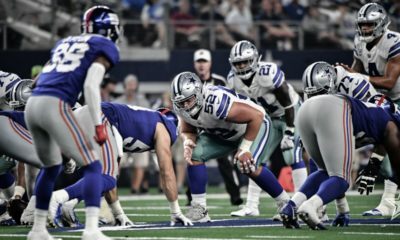 The NFL’s fifth ranked rushing defense was knocked backwards, sideways and every other which way for 273 rushing yards. Frankly, I never saw that type of beat down heading our way. The Rams defense against the run was last in the NFL, yes 32nd in the league against the run and they held the NFL’s leading rusher to a meager 47 yards. Through sixteen games Dallas only allowed one running back to break the 100 yard mark for a single game. In the Rams game the starter and the back up BOTH gained over 100 yards rushing. That’s about all you need to come to grips with, in how this game got away from Dallas so easily and quickly. Goff wasn’t tearing it up and with large chunks of real estate being gobbled up by Anderson & Gurley, he didn’t have to be. He was as efficient as they needed him to be. You can get by with the QB having a good but not great game when you pound out 273 rushing yards! The Dallas defensive front wasn’t staying square to the LOS and was pushed out of the holes on a regular basis. We’ve grown accustomed to LVE & Jaylon Smith filling the holes and stopping runners in their tracks. They didn’t show up on the screen until the back was already five or more yards down field. How many 2nd and 1’s did the Rams have? The defense was on their heels from the opening snap and on one play we watched LVE get bull rushed as he went for the tackle. Five yards later he finally brought Anderson down. After that I lost track of LVE, once they brought Sean Lee into the game. It was sad watching Lee get pushed around too and be so ineffective. Sadly, there will be stories that its the end of the line for Sean. Should he retire, be released or take a pay cut? Those will be topics bandied about. Our defensive front never mounted any pressure on Goff, the man could survey the field, have a cold beverage and pick out whoever he wanted. A few blitz packages did force him to cut it loose before he wanted to on occasion. The defense as a whole did hold them to FG’s early, but ultimately LA was able to do whatever they pleased and jumped out to a 20-7 halftime lead. Dallas stayed in the game as they inched closer at 23-15. 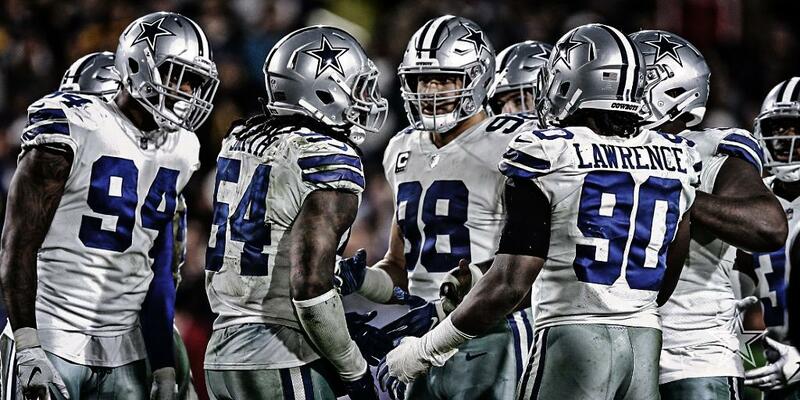 All things considered it seemed surprising that they were still in it, without any real impact by Zeke. There were a few plays that were key moments in the game. Throughout the game Dallas was unable to get LA into 3rd and long situations. Well they got them into a 3rd & 14 and Byron Jones gets called for hands to the face. In the playoffs the refs generally let the teams play unless the infraction is egregious. Jones’s hand slid up and but didn’t ride the WR with his hand there, he brought it down quickly. New life and LA went on to yet another score instead of a stop. 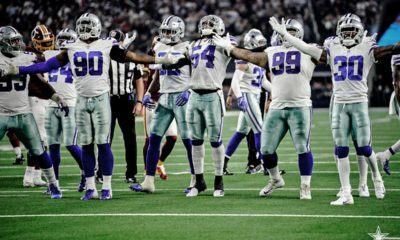 Dallas was scrapping for every yard and on one drop back, Dak is under pressure back there and La’ell Collins has Dak wrapped up, as though giving him the Heimlich maneuver and the refs called the play dead, that Dak was in the grasp. Then, I love the cover up of such malarkey! The announcers, the ones who NBC claim to be the best in the game, soft soap what they just saw. Not that what they say has any effect down on the field, but they (all announcers) let refs off the hook when they need to call it as they see it. Bad calls effect outcomes and no one holds their feet to the fire. We’ve grown accustomed to a few challenges per game, not to slow play down. But why play 16 games and let outcomes be decided by the stripes and not the players on the field. Always a pet peeve of mine, dating back to my coaching days. Lets just say I got more than a few penalties for questioning the eyesight of the men in stripes. Offensively, it was always tough sledding for Dallas, as they could not get into third and manageable situations. I recall hearing they were only 1 for 10 or so on 3rd downs. Do we need to know much more? 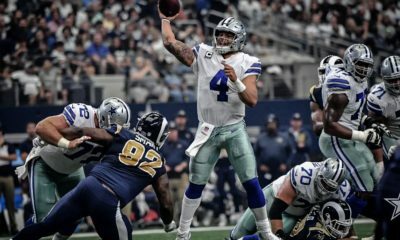 I’ve ridden Dak after several games and the Rams game won’t go down as one of his best. I caught a few tweets where people were saying he was fine statistically. While his stat line was ok, his accuracy was something to be desired in key moments. He still shows me that his preference on throws is to a player in a stationary position on comebacks, hooks, etc., yet perhaps his best throw of the night was hitting Gallup in stride. You get to this level of the playoffs and you have to bring your A game. The team didn’t nor did Dak. As we used to say back in NY, ‘Not for Nothing” but without a running game and no defense, where ya going to go? Wasn’t that the recipe for failure during the Romo years? The difference between then and now, was that Romo had the ability to snag victory from the jaws of defeat, no matter the shortcomings of the team as a whole. Dak needs the D being stout and the running game managing down and distance for him. Can Dak get it done, yes, but a good team needs to be more consistent on the defensive and offensive side of the ball. 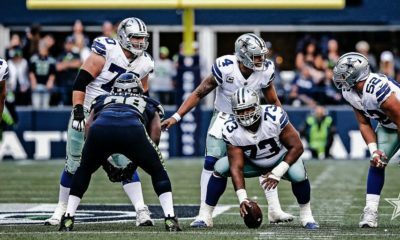 Dak’s a good player, great competitor but the team needs to have everyone doing their job for him to be successful at the playoff level. At the end of the day, the defense didn’t get the job done. They were unable to keep the team really in the game. For a team known for. three and outs, they couldn’t get off the field in this game. I put this game on the defense to win, that was their task and they didn’t get it done. The offense just isn’t good enough, never really fired on all cylinders this year. The Frederick ailment, threw a wrench into the offense from the outset of the season. They never really got it together. We got more out of the season than I expected at midseason. I saw the warts and they never went away offensively, though there was encouragement with a few outstanding games by Amari Cooper when he joined the team. The wins added up and got them into these playoffs but warts and weaknesses can’t be covered up. I hoped for the best and once you’re in the playoffs you have a punchers chance. What changes are there ahead for this team? Many would like Garrett to be jettisoned, but that’s not likely. Scott Linehan is under fire by many fans. Personally, I like his game plans as a rule for the scheme that Garrett wants run. I’ve seen new wrinkles that are creative and yet failed due to player mistakes. If your personnel don’t remember the plays, the snap count or are a tick slow off the ball, who’s that on. Understanding coaching to a degree, you can draw it up, but if not executed properly, boom, it doesn’t work out. Or if a player holds on a play, then that TD pass gets called back. You’re only as good as a coach when winning or your position or unit executes successfully. No one cares who’s out injured, who slipped on a banana peel, who didn’t know their assignment. Results are all that matters and costs coaches their jobs. We’ll likely see a few changes in the coaching ranks this off season. I wanted Garrett out after watching him blow the 2014 & 2016 playoffs for sure. But he keeps getting them just close enough to keep his job. I love the consistency he’s brought to the franchise, but that doesn’t make him a great coach. He’s got an owner who will bend over backwards to improve his team. No matter the changes the results are the same. Fortunately, the defense made monstrous strides only to revert back to the way things use to be. The one hope was shattered when the defense wasn’t the unit that got them the wins this season. On a plus note from Saturday nights game was watching the development of Michael Gallup. A very nice pick and one that will continue paying off going forward. Connor Williams had some tough moments earlier in the year but honestly, I didn’t know that Aaron Donald was in the game. An easy sack a game, 2 or more if he’s got a great mismatch. It wasn’t the case on Saturday night. True, Connor got nipped for a holding penalty, but he really did a nice job keeping him from destroying any chance of staying in this game. 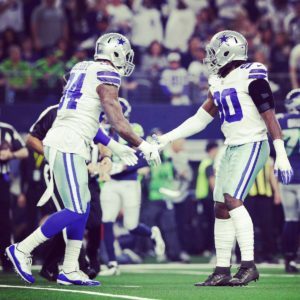 This team needs to decide the future of guys like Terrance Williams, Sean Lee, David Irving and Allen Hurns to name just a few. We’ll have to wait and see if Travis can ever play again or if his health will force him to ride off into the sunset. There’s always changes, roughly 10-15 new faces will be donning the uniform next season between draft picks, free agents and undrafted players. I still say continue building the defense for this team to move further along. If the Ravens could win with Trent Dilfer, we have to find a way to win with Dak. He will be signed for a nice piece of pocket change. Not my first choice, but I don’t see the team going in a different direction in getting a better & more accurate passing QB. I’ve resigned myself to the fact he’ll be signed and despite the frustrations of his limitations that I’ve got to pull for him, no matter what!